A common complaint I hear regarding the world of comedic cinema is "the only funny parts were in the trailer". One hundred and fifty seconds of laughs scattered among 94 other minutes completely void of humor. 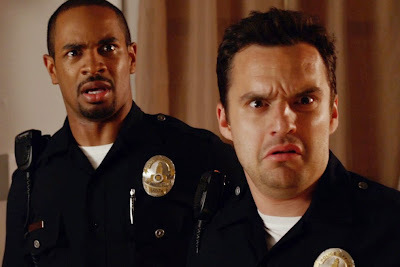 Let's Be Cops was a perfect candidate for this fate, as I found the preview I witnessed early in the summer to be mildly amusing, worthy of a chuckle or two. What is truly fascinating about this film is, even the "funny parts" featured in the marketing for the film simply aren't funny any more. Let's Be Cops is an uninspired, lazy, boring film. I don't recall what worked for me during those brief few minutes in a theater back in June or July, but now that I have witnessed the finished product I am ashamed of those laughs I wasted. Let's Be Cops isn't offensively terrible like the still worst film of the year A Million Ways to Die in the West, but it will certainly never be viewed again by these eyes. I plan on forgetting all about this after a solid 5 hours of sleep.